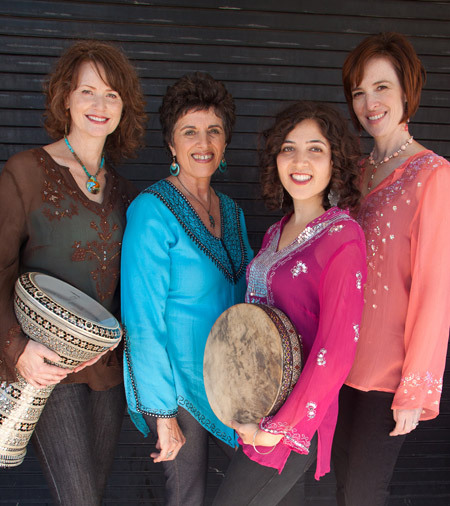 Left to right: Liz Stuart, Linda Hirschhorn, Talia Cooper, Shana Levy. for Best Album: "Heart Beat" and Best Song: "La Comida" on "Heart Beat"
and 2nd-place winner of the Harmony Sweepstakes's 2007 Regional Competition. Listen to our recent interview on NPR's KQED Forum! Check out our albums and listen to samples!